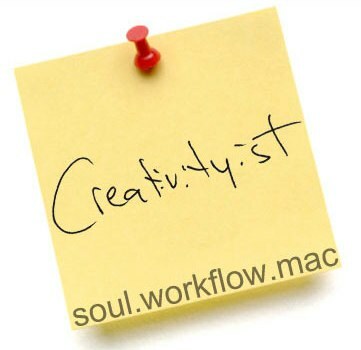 One of my very favorite blogs is John Chandler's Creativityist. Recently I was privileged to give John an interview about creative practices. In it I talked about my thoughts about creativity and how getting organized allows you to make time to be creative. If you haven't checked out John's site, you should. I'm a Creativityist, Are You? I've been corresponding with my friend, John Chandler, on and off for sometime now. What I didn't realize until very recently is that John runs an excellent blog himself called, The Creativityist. In it John writes about everything from art to using Quicksilver to drop ideas into my favorite writing application, Scrivener. This one is very RSS worthy.